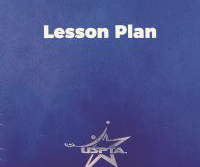 Home » Uncategorized » Why A Lesson Plan Is Needed! Recently one of my good buds was hired as a part-time tennis-teaching professional at a nearby facility. His first assignment was to team teach with one other pro with a class of beginning adults. He arrived a half hour early and waited for his fellow pro to arrive. Two minutes before the class was to begin, his partner arrived, introduced himself, and out on the court they went. The senior pro did not introduce my bud to the class, but instead started to chat about the first segment of the lesson. My friend did his best to follow the leader’s steps, but was very lost and looked foolish to the students. What a bad way to start a new gig! If you are a director or a head pro, you should have a “best practices” protocol in a “Pro’s Manual” to be followed by your staff when working with others. Again, if you are the director or head pro, you should introduce(with resume and/or qualifications) all new staff to existing staff, preferably in person, but for sure via email or inter-club communications. If the club has a newsletter, announcing that person is always a good practice. A core curriculum for beginners and advanced beginners should be given to each pro. A sub or an additional pro required is now in the loop on what has been done up to that point, what is to be done presently and perhaps, what will be done in subsequent lessons. It’s best when discussing a drill to actually demonstrate it. By doing so, you emphasize key aspects of what’s to be accomplished. It’s a great exercise for the second pro because they see the flow of the drill that’s to be conducted. Be sure the class is gathered together and shouting instructions over several courts is eliminated. Based on a previous match or tournament, the content of high level drill and play classes are pretty much spelled out. However, having game situations and drills ready in the event the students do not provide the input, or the pro does not know what happened in the previous competitive situations is always a good practice. During the lesson or drill, be sure the lead pro is asking for input from the second pro on points being made. I have been the lead and neglected to ask the associate pro for his or her opinion and I am sure I have been the recipient of neglect as well. This is a definite no-no. Another good practice is for the director or head pro to periodically visit the courts being taught by their staff. The director is not there to intimidate, but to observe or maybe join in for a bit, and offer support for the younger pro or pros as they conduct their session. There is a business axiom, “management by walking around” which addresses bosses who never leave their offices and rarely interact with employees while working. The director who stays away from his staff’s work is not a good leader. After each class, I like to pull the class together for one minute to review the day’s work. I ask what the students thought of the time spent and ask them what would be a good thing to work on in the future. One of my good tennis buds, Don Paitrick of Charlottesville, Virginia, likes to bring the group together to have coaches discuss two positive reminders that can be taken by the students for their next match. Finally, it would be ideal if the lead or more experienced pro would take the time to meet once a week or so and review the progress of the classes taught and the progress of the new staff. Having a type of “buddy” or mentoring system is always another good habit to develop. 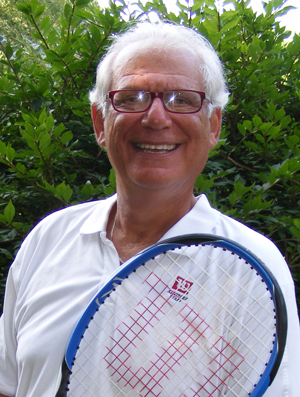 Denny Schackter is a veteran tennis pro residing in Palatine, Illinois. He has been a college coach, industry rep, avid USTA volunteer and currently owns a business, Tennis Priorities, which attempts to recruit young people to the tennis-teaching industry. Understanding the need for promoting the profession of teaching tennis, Denny places the best tennis coaches at tennis clubs in Chicago, Indiana, Indianapolis, Milwaukee, and the Greater Wisconsin region. While also serving as an ambassador in support of tennis careers, Denny remains active in tennis associations at the local, regional, and national level.